Before you start your search for a pub or bar to buy, you need to be absolutely sure this all-consuming, highly competitive sector is really right for you. If you’re ready to proceed, let’s take you through the steps involved in buying a pub. Before you start browsing pubs for sale you should set out your priorities, the viability of achieving which will be constrained by your budget (find out more about securing a loan here). Geography. Do you want to restrict your search to a specific town, city or state – or are you flexible? Offering. Are you after a city-centre pub that attracts drinkers, a suburban pub-restaurant or a craft ale specialist in a trendy location? Size. Do you want a large venue to maximise number of covers and scope for revenue growth? Accommodation. Are you willing to live on the premises? If you can find a pub with accommodation then selling your current abode will give you a much bigger budget. Buy a freehold and even if the business fails, the property should retain its value. But you’ll need some serious capital – especially with Sydney pubs selling for as much as $34 million at the time if writing. Leaseholds, which provide a higher investment yield, are often secured on terms of 17-18 years with an option to buy the property at the term end. Bartender and bar owner Sven Almenning says that location is “arguably the single most important thing to consider”. Writing on Australian Bartender, he argues that a secluded CBD location is “the sweet spot”. The asking price will be lower than a high-footfall equivalent and in the age of TripAdvisor and Google Maps, ‘hidden gems’ are no longer so hidden and most patrons won’t have far to travel. A bar with plenty of foot traffic can withstand a few scathing customer reviews without too much damage – but will naturally command a premium. This is a fiercely competitive business so a pub or bar franchise might appeal. You’ll have a support structure, proven systems, market awareness and the bulk-buying power of a national brand in place, leaving you to concentrate fully on serving customers. Pubs and bars can be found in our food franchise resales category. We interviewed a Maroochydore-based franchisee of Beach House Bar & Grill, which has 10 outlets across Queensland. If you want to exploit the craft beer boom, then you might consider something like Taps Australia. Launched in 2013 this specialist chain offers a range of craft beer from local brewers and has two franchisees so far. Once you’ve set your parameters, you can scour the marketplace for businesses that match your criteria. But if you happen upon the perfect candidate when you’re out drinking with friends, there’s nothing to lose from asking the proprietor if they’d consider selling. Once you’ve found the right pub and a willing seller, the next step is to open negotiations. You could do this in person, or through an agent or broker. Help from a lawyer and accountant is also advisable during this process. If you’re negotiating a lease agreement, most landlords will give you a cost based on square metres. Compare this to current revenues and consider how you might realistically add value to boost takings. Sven Almenning recommends that your rent should be less than 10% of your forecast takings – and “make sure both your rent and income figures either both include or both exclude GST when you make your calculations,” he adds. When you’ve reached an agreement that suits both parties you and the seller should, with the help of your lawyers, formulate Heads of agreement (HOA) – a pre-contractual, non-binding agreement for key terms worked out so far. Seasonality of trading – is it a student area or popular spot for holiday-makers for instance? Any local development in the pipeline, whether commercial or residential, that could increase the amount of potential custom. 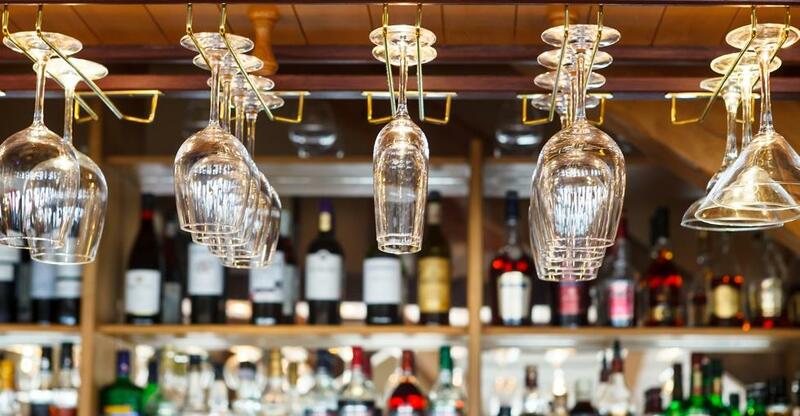 “When we opened Eau de Vie Melbourne we knew there was a lot of development happening [...] As the works started to be completed the area got busier, and so did we,” said Sven Almenning in Australian Bartender. If due diligence proceeds as well as hoped and the business lives up to the seller’s pitch, you’ll then sign your Sale and Purchase Agreement (SPA). Legally binding, this contract enforces the transfer of ownership and payment of the agreed price – so make sure you’re absolutely certain of your decision before you put pen to paper. Once you’ve done so, congratulations are in order. You are now the proud owner of your own pub or bar! Now it’s time to think about how to run it successfully.